A Novice Stakes over 5f on good to soft going. Learn the history of Haydock racecourse at Racecourse Directory. Six runners but to all purposes a four-horse race. Seyaady looked every inch a winner on debut at Carlisle but the photo showed Mark Johnston's son of Exceed And Excel had been headed on the line. The form of that race looks sound. Certainly holds strong claims here although this may be a tougher race than first viewed. Dragon's Teeth is a fair gelding. He wasn't given a very good ride on debut when his jockey went a stride too fast. This son of Dragon Pulse was fancied to go well the second start at Kempton in a small field but couldn't cope with the winner, Plunder, trained by Paul Cole. Jo Hughe's charge has plenty of pace but may struggle to hold one or two horses on the upgrade. Tom Dascombe's Big Time Maybe was backed to short odds on debut at Bath and looked to have the race at his mercy until Mutanaaseq flew in the final furlong to steal a tidy winner. Richard Hannon's victor was in need of the run that day and improved markedly on his second start. Big Time Maybe was relatively fancied when making his second start in the Lily Agnes Stakes at Chester. He was beaten a long way, running on the outside of the course, a consequence of a wide draw which done this April foal no favours. It is next to impossible to run a race when pushed wide on this turning course. That disappointment is best forgotten. Not been seen for a month. Connections will be hoping for better today although the form of that initial start shouldn't be taken as read. The only debutante in the field hails from James Given's stable. Gift In Time would seem to have a mountain to climb facing opponents with valuable race experience. It is never easy for a horse to win on its racecourse bow although a straight is much easier than a turning course which compounds problems.This bay colt is a son of Societ Rock out of an unraced mare. He cost £75,000 when purchased at two by The Cool Silk Partnership. These owners do particularly well with their breeze-up purchases and go well for Givens who has found success at this course over the years with some talented juveniles. This trainer from Willoughton, Lincolnshire, has a couple of fair juveniles to assess the quality of his string including Mistress Of Venice and it is worth noting Gift In Time had been earmarked for the Brian Yeardley Continental (10th June) at Beverley. It would seem connections have decided to take this race as a prudent option. It wouldn't be the biggest surprise to see this juvenile backed or run a big race. Sir Walter & Darkanna need to find marked improvement and better suited to upcoming nursery races. Conclusion: An interesting race. Seyaady ran well on debut. I think connections were slightly surprised how well he run imagining that inexperience would tell. In truth, he was unlucky to be nabbed on the line. The form of that race looks sound. Although respecting this colt's chances I wouldn't be betting at 6/5f. I would be fearful of the opposition. Both Dragon's Teeth and Big Time Maybe are speedy horses who could make this a fast-run race. They may burn each other out if disputing the lead, especially under these testing conditions. Dragon's Teeth may just struggle to cope with a smart horse and flounder at the finish if setting the fractions. Big Time Maybe ran well on debut. It would be a mistake to consider he is of a similar standard to the winner. Nothing was learned at Chester. Dascombe's charge has pace and ability but assessing the quantity is difficult. 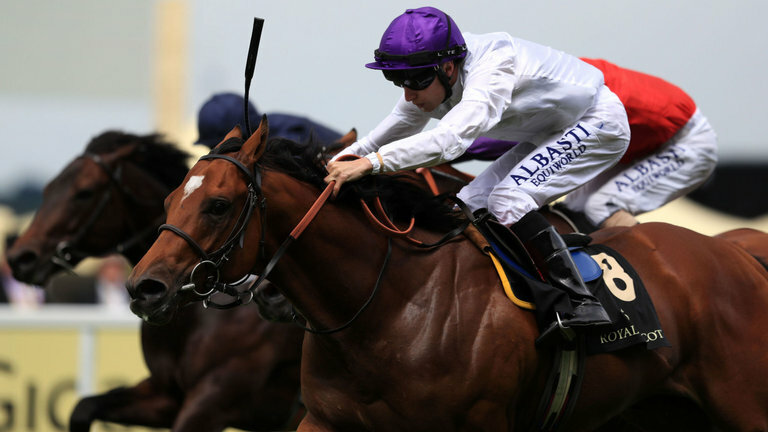 Gift In Time could well be the dark horse of the race at 10/1. The Brian Yeardley entry, well owned, breeze-up purchase & good trainer stats give confidence. The problem betting on debutantes is that you have to take a leap of faith. I am pretty sure this horse has ability but needs to be sharp. A slow start, unless a true talent, would make this very difficult. I wouldn't knock anyone having a speculative bet on this horse. What I would say, if you are betting on the favourite, definitely have a small cover bet on this horse just to protect your interests. Want to know the best two-year-old horses in training? You can with Group Horse. For a ridiculously £37.5 per annum, you get the best horses from every trainer, often before they make their debut, dark horses and daily race notes so you don't miss them.